Web Development News, How-To Tutorials focusing in PHP & Laravel. Manage your Laravel applications localization in various languages and in realtime. In our first episode we sort of talking about the introduction for this series. In this second epesode we are going to do some initial database setup. In the process we will learn some Laravel features such as database seeding, migrations, and model factories. First, let's create a database and we will name it twitter. Please take note I'm using Laravel Homestead as my local development environment. So, I'm going to log into my homestead environment first using vagrant ssh. Next, let's edit our database credentials in our .env file. Next, let's create a tweets table migration using make:migration artisan command. Next, let's edit database/migrations/2017_03_29_015136_create_tweets_table.php to add some column in our tweets table. For now let's just add user_id column for the id of the user who owns the tweet and body column for the body of the tweet. Next, let's run migrate artisan command to add the tweets table in our database. Next, let's create a model for our tweets table using make:model artisan command. This command will create a Tweet.php file under the app directory. Next, let's create a model factory for our Tweet model in database/factories/ModelFactory.php. Notice how we create a user_id for our tweet. We're using the user factory that is included in Laravel out of the box. So, basically every time we run factory(App\Tweet::class)->create() we're also creating a new user in our users table. Next, let's create a table seeder for our tweets table using make:seeder artisan command. This will create a TweetsTableSeeder.php file under database/seeds directory. 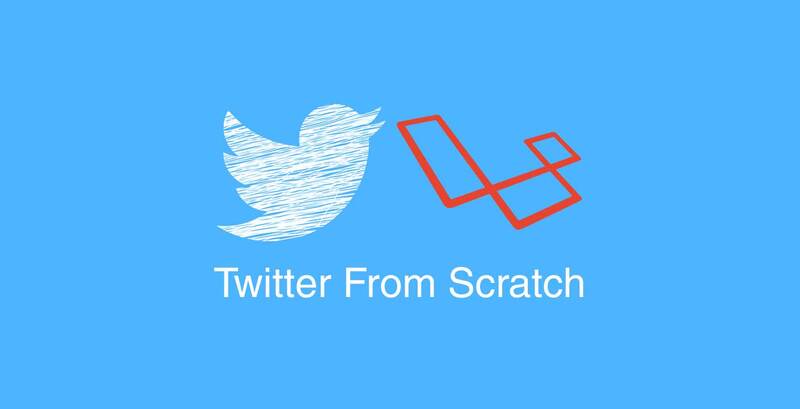 Next, let's edit that TweetsTableSeeder.php file and use our Tweet model factory for seeding our tweets table. This will create 50 random tweets in our tweets table and 50 random users in our users table. Next, let's add our tweets table seeder to database/seeds/DatabaseSeeder.php which is the one being executed if a seeder is not specified in the db:seed artisan command. Next, let's run the seeder using db:seed artisan command. As I mentioned you can specify what seeder you want to run. Now that our database is ready, in our next episode we are going start working on some features. If you have any questions or suggestions please don't hesitate to write it down in the comment below. Stay tuned. View the source code for this lesson on GitHub.